Lawyer Francis McQ. Lawrence claims that police investigators did not correctly state the effects of Valium and Librium on the body, as well as did not include other drugs present in the defendant's system. 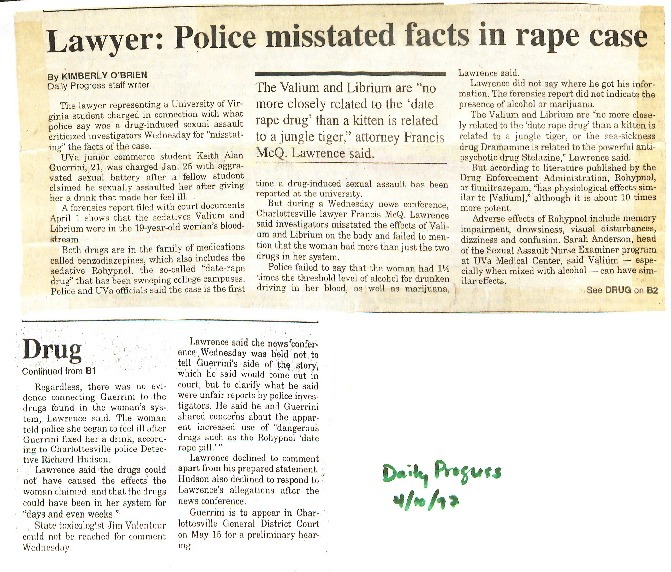 Lawrence is the lawyer of Keith Guerrini, a UVA student accused of drugging and sexually assaulting a female student.